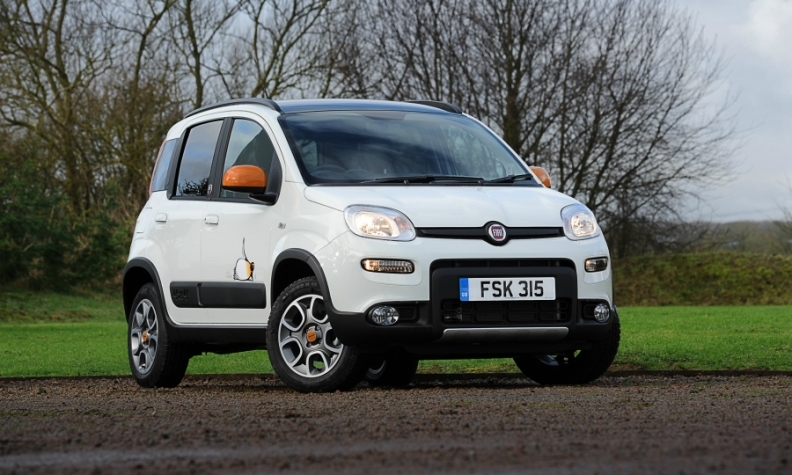 The Panda was Fiat brand's best-selling model in Europe last year. MILAN -- Fiat Chrysler Automobiles may move production of its Panda minicar to low-wage Poland to create capacity to build for more upscale Alfa Romeo models in Italy, according to people familiar with the matter. The automaker began Italian production of its third-generation Panda in 2011, after building its predecessor in Tychy, Poland. The first generation Panda was built in Italy. Fiat could halt production of the Panda at the Pomigliano plant near Naples to free capacity for Alfa Romeo, which benefits from the cachet of the "Made in Italy" label, said the people, who asked not to be identified because the discussions are private. The decision isn't final and could depend on sales of new Alfa models like the Stelvio SUV and Giulia sedan. The Panda was Fiat's best-selling model last year in Europe and the region's top-selling minicar, with deliveries rising 11 percent to 191,696, according to data from JATO Dynamics. The Panda is advertised for as little as 6,990 euros ($7,360) including trade-in rebates. It competes with no-frills minicars such as the VW Up, Peugeot 108 and Hyundai i10. Poland's lower labor costs could make a big difference in the battle for customers and profits, especially amid mounting pressure on prices. A Panda/Alfa production shift would be in line with CEO Sergio Marchionne's dual strategy for Europe: upscale cars and SUVs made in Italy, combined with no-frills vehicles built in countries with cheaper labor. The approach has thus far paid off: the company's sales outperformed peers in the region last year, as profit more than doubled to 540 million euros. Shifting the Panda to Poland would be Fiat's latest move of a mass-market car to a cheaper production site outside of western Europe. Fiat's Tipo compact sedan and hatchback are built by a joint venture in Turkey, while the 500 minicar is made in Poland and the larger 500L variant in Serbia. Fiat is also considering widening the Alfa Romeo lineup by adding more SUVs and crossovers, and may use the Pomigliano plant for that, the people said. Results over the next few next months will be crucial for the carmaker's decision, as the Stelvio is now in European showrooms and the Giulia has started U.S. deliveries. Europe's automotive landscape is particularly competitive. In addition to the complexity of operating in numerous small national markets, customers generally prefer low-margin small cars. That means profitability in the region is wafer-thin. Even with demand currently near the top of the cycle, Fiat's mass-market car business reported operating profit in Europe of 2.5 percent of sales last year, compared with 7.4 percent in North America. Ford was similarly lopsided, with 4.2 percent in Europe and 9.7 percent in its home region.